STUCO will be sponsoring a social event for council members on Friday, December 1, 2017 from 4:30-10:30 PM. We will go to dinner and visit the Detroit Zoo for their Wild Lights display. We participated in this event a few years ago and receive lots of positive student feedback. 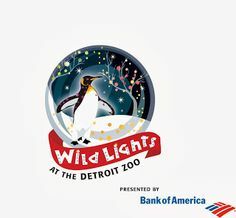 If you would like to go, please fill out the form (use the link below) so we can get a total number of people who want to go to the Detroit Zoo's Wild Lights on December 1st. Your costs will be $15.00 which covers your ticket into the zoo and transportation on a school bus. Please bring money for dinner, snacks, and/or souvenirs. Your payment will be due by Tuesday, November 21, otherwise your reservation will be canceled!